You may be planning an Azores holiday, or generally interested in those lovely Islands, and looking up the various travel info websites – just don’t let yourself be persuaded that the volcanoes there are “extinct” – nope, most of them are as active as any dormant volcano can be. Meaning that, within months or years of first signs detected by seismologists, an eruption *could* happen. 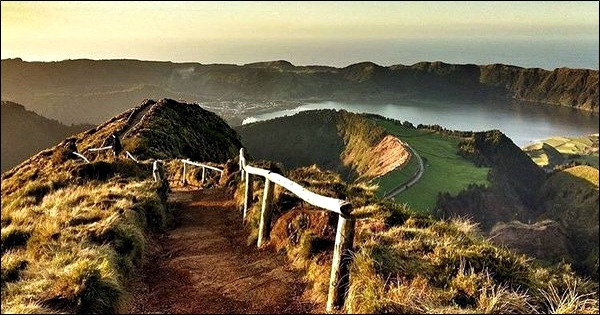 Since the settlement of the archipelago in the 15th century, 31 destructive earthquakes and 28 volcanic eruptions have been registered in the Azores (Ilhas dos Açores in Portuguese). It seems VolcanoHotspot is into hotspots these days 🙂 so here is another post on volcanoes of this interesting origin. In this post we will look at the biggest island of the group, São Miguel, with posts on some of the other equally interesting islands to follow later. The Archipelago of the Azores, one of the two autonomous regions of Portugal, is situated far out in the North Atlantic Ocean, about 1 500 km west from Lisbon and about 3 900 km east from the east coast of North America. Reportedly they have been discovered as early as in the 1430s by seafarers sent by prince Henrique of Portugal (Henry the Navigator) because he wanted to know if any land could be found in the remote regions of the “Western Ocean”. Settlement of São Miguel began in 1444, on the day of then patron saint of Portugal, Archangel Michael (Arcanjo São Miguel) – so, they didn’t have to look farther for a fitting name for the island. Image from GEO-ELVAS Click for larger version. The Azores are located in a contact zone of three tectonic plates (Azores Triple Junction) – the North American, Eurasian and African Plates. There are nine major Azorean islands and an islet cluster, in three main groups. To the west are Flores and Corvo; these two lie beyond the Mid Atlantic rift, i.e. on the American Plate. 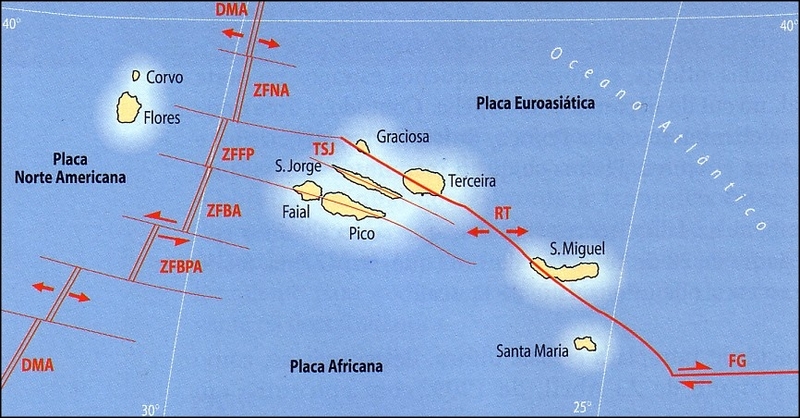 The centre group are Graciosa, Terceira, São Jorge, Pico and Faial; and in the east we have São Miguel, Santa Maria and the Formigas Reef – all along the NW-SE trending Terceira Rift system dividing the Eurasian from the African Plate. Together they extend for more than 600 km. All the islands have volcanic origins, although some, such as Santa Maria, have had no recorded activity since the islands were settled. Mount Pico, on the island of Pico, is at 2351m a.s.l. (7713 ft) the highest point in Portugal. 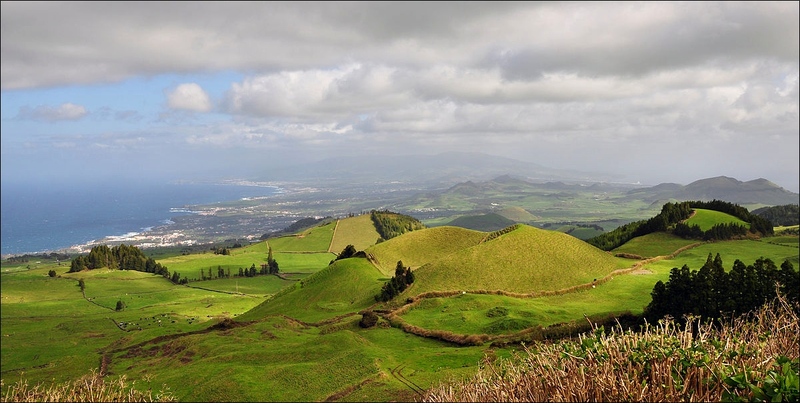 Like Hawaii, the Azores are some of the tallest mountains on the planet, measured from their base at the bottom of the ocean to their peaks. São Miguel is the largest and most volcanically active of the nine Azores islands. During the past 5000 years many eruptions have taken place; five eruptions occurred in the last 500 years. – The island of São Miguel came into existence at ~4.1 Ma ago and was successively increased by the expelled material of new eruptions. In some places, like Ponta la Ferraria, you can see where lava poured into the sea creating new platforms of land, locally called fajãs. São Miguel now measures 80 kilometers long by 16 kilometers wide. The geology of the island is marked by three volcanic edifices: Fogo, Sete Cidades and Furnas, three central stratovolcanoes with summit calderas, linked by two zones of fissure volcanism, Picos (active) and Congro (hence the 3+2 in the title). The oldest rocks are located in the northeast and east, with remains of two extinct, highly eroded, overlapping shield volcanoes near the towns of Nordeste and Povoação. 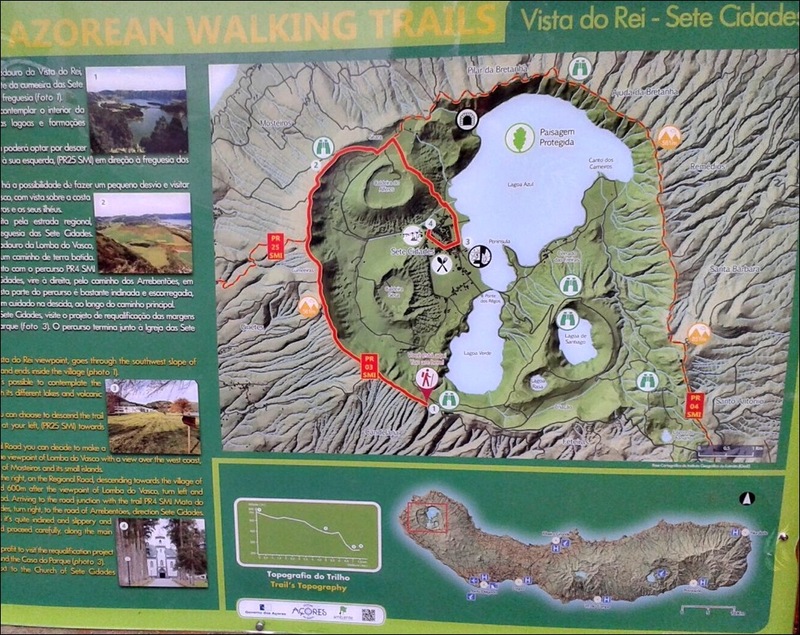 One of the photos our long-time friend Renato Rio sent us from his recent Azores holiday – a roadside map of this remarkable caldera. Sete Cidades is an active central volcano on the western part of São Miguel, where the most recent volcanic activity took place. The almost circular caldera is a nested structure formed as a result of three separate caldera collapse episodes that occurred at about 36, 29 and 16 ka ago. The volcano’s history shows several dominantly basaltic pre-caldera eruptions, a trachytic* caldera-forming stage and a post-caldera stage consisting of alternating trachytic and basaltic eruptions. Effusive or moderately explosive eruptions, of Hawaiian and/or Strombolian styles, were located on the slopes of the central volcano. On the other hand, trachytic explosive activity was mostly centred inside the caldera involving, in a first stage, mainly Plinian and sub-Plinian events, and changing about 5 ka ago to a dominantly hydromagmatic style (due to the presence of crater lakes). Trachytic effusive eruptions are represented by domes and associated lava flows that crop out in the inner caldera walls and on the western slopes of the volcano. These vents occur in a relatively small area of 7×4 km, suggesting that Sete Cidades may have a smaller magma reservoir than the other volcanoes. The post-caldera flank lavas are more primitive (>5 wt % MgO) than the pre-caldera lavas, implying extended fractional crystallization and longer crustal residence times for the pre-caldera, shield-building lavas. A view of the Sete Cidades caldera as seen from the Cuumeiras. (© Hansueli Krapf, Wikipedia). The Caldeira Seca pumice ring (center), on the SW of the caldera floor, was formed during a 15th-century explosive eruption through the Sete Cidades caldera lake, the last intra-caldera eruption. Click! A ring of six Holocene pyroclastic cones has formed on the caldera floor. These have been the source of 17 intra-caldera eruptions with trachytic pumice-fall deposits during the past 5000 years. 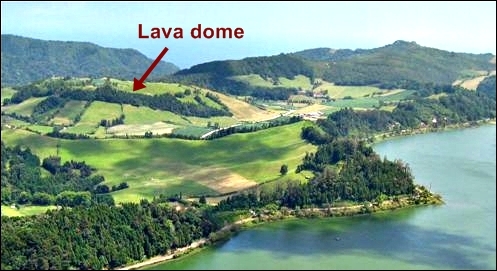 The SE floor of Sete Cidades caldera contains the large trachytic Santiago lava dome with two lake-filled craters. Eruptions on the lower flanks occur as offshore submarine activity, lately represented by the historic Surtseyan eruptions of 1638 and 1811. Confirmed by historical observations are a total of 8 eruptions, mostly submarine, the last one in 1880. Recent earthquake swarms occurred in 1998. *Trachyte is a light-colored feldspar-rich extrusive rock with a high silica content (over 63 %) but generally without quartz. The Agua de Pau caldera, or, synonymously called Fogo vulcão, occupies the central part of São Miguel and is the largest of the three active central volcanoes on São Miguel. It is located at the intersection of NW–SE, NE–SW and E–W-trending fault systems, showing a complex morphology with a Summit Caldera formed as a result of explosive and collapse events. The edifice of Fogo has been extensively dissected by erosion, and has deep valleys that clearly show the influence of tectonic forces. Fogo consists of a 2.5 x 3 km caldera formed 15 ka ago, and the remains of an older caldera, about 7×4 km across, are visible on three sides of the volcano. Extensive deposits of tephra cover the volcano’s flanks. The oldest rocks in this region have an absolute age >250 ka – most of them were still formed in submarine environment. After two major eruptions and caldera formation 46.5 and 26.5 ka ago, the structure was much reduced. About 20 eruptions happened in the past 15 k years. Research of the upper stratigraphic layers found that large pyroclastic deposits of trachyte had been laid down by sub-plinian to plinian eruptions of which there have been five in the last 5 k yrs, all from the caldera of Agua de Pau. It was suggested that the five air fall pumice deposits represent successive samples of an evolving trachytic magma body, and also that the trachytic melt has been periodically contaminated by less evolved magmas. 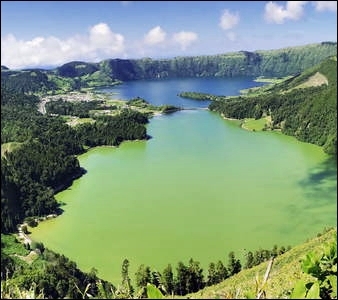 The current Lagoa do Fogo was formed by the collapse of Agua de Pau caldera during the 1563-64 eruptions – the last intra-caldera eruption occurred in 1563, and 4 days afterwards there was an effusive basaltic eruption on the northwestern lower flank of the volcano which buried part of Ribeira Seca village. This was later classified as a VEI 5 eruption. Today, hot springs with temperatures near boiling point are located on the northwestern flank of Agua de Pau. Swarms of small earthquakes and weak harmonic tremor occurred beneath the NE and S flanks of Agua de Pau in May-July 1988. The volcanic complex has lots of geomorphological structures including lava domes, cones and encrusted lava flows that have marked its eruptive history. The governmental authorities do not allow any modern construction around this lake. Although Furnas does not boast an attractive volcano shape, it does have an edifice rising from the basal basaltic lavas exposed on the north coast to around 600 m a.s.l. on the northern rim of the main caldera (5 km in diameter). 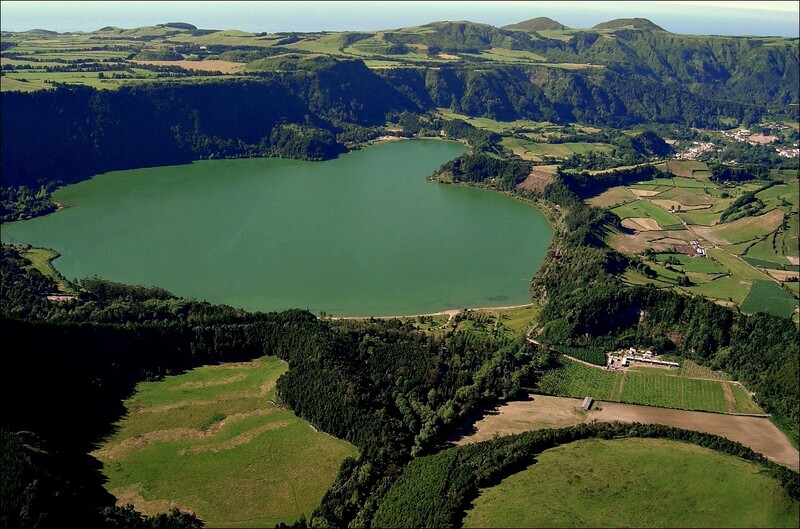 Just as Sete Cidades and Fogo, Furnas had major eruptions of subplinian to plinian character in its volcanic history. Activity at Furnas has been essentially explosive, erupting materials of trachytic composition as pumice deposits, welded ignimbrites and surge deposits, phreatomagmatic ashes, block and ash deposits and dome materials. Most of the activity has occurred from vents within the caldera, or on the caldera margin, although strombolian eruptions with aa flows have occurred outside the caldera. The eruptive history consists of at least two major caldera collapses, followed by caldera infilling. The youngest major collapse occurred about 12 ka – 10 ka BP. Recent eruptions (<5 ka old) were mainly characterised by alternating episodes of magmatic and phreatomagmatic activity of plinian and sub-plinian magnitude, forming deposits of interbedded ash and lapilli. At least 11 trachytic pumice layers, all erupted during the past 5000 years, post-date the caldera. The most prominent post-caldera feature is the Pico do Gaspar lava dome, east of the Lagoa das Furnas caldera lake, which was associated with the 1440 VEI 4 eruption during the early occupation time of the area. In 1630, a VEI 5 eruption in the south-eastern part of the caldera with pyroclastic flows and lahars has killed 195 people. 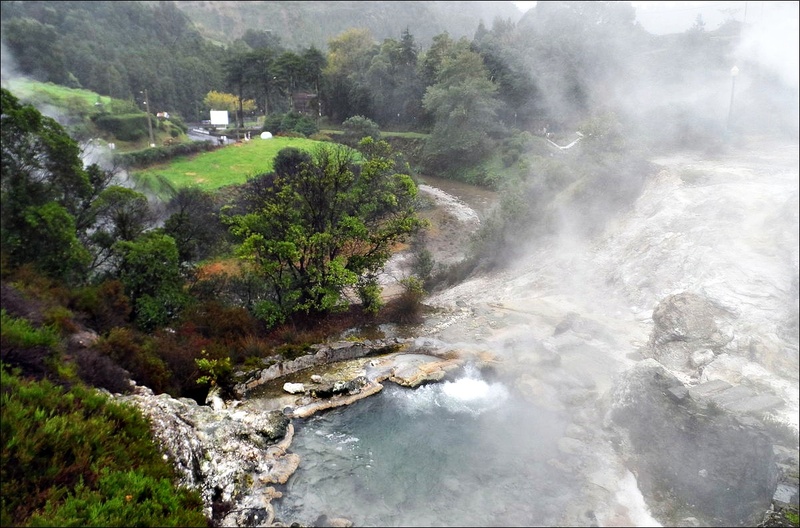 The Furnas area also has several hot springs/geothermal fields, features always attractive for tourists anywhere in the world. Bubbling cauldrons and boiling mud pools mark the areas where hot gases and steam sources associated with the frequent Holocene eruptions are close to the surface. 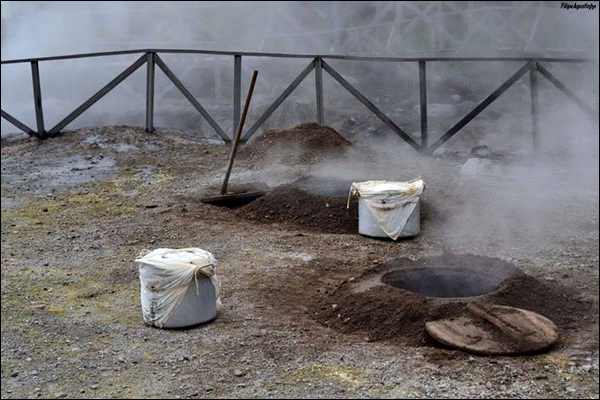 Concrete cylinders were set vertically into the geothermal basin, and cooking pots get placed inside these “ovens” and covered with soil. Six hours later the contents have become slow-cooked cozido. This is a traditional stew consisting of beef, pork, vegetables and sweet potatoes. In the photograph left there are two open cylinders waiting for their stew pots and behind, near the fence, is one that has already been covered for cooking. The CFVS and PFVS are two systems of basaltic scoria cones that created the connecting regions a) between the Água de Pau and Furnas volcanoes and b) between Sete Cidades and Água de Pau volcanoes, respectively. About 5 ka ago volcanic activity at the CFVS ended abruptly. Despite the absence of eruptive activity, the Congro system still represents one of the most active seismic areas in the archipelago. 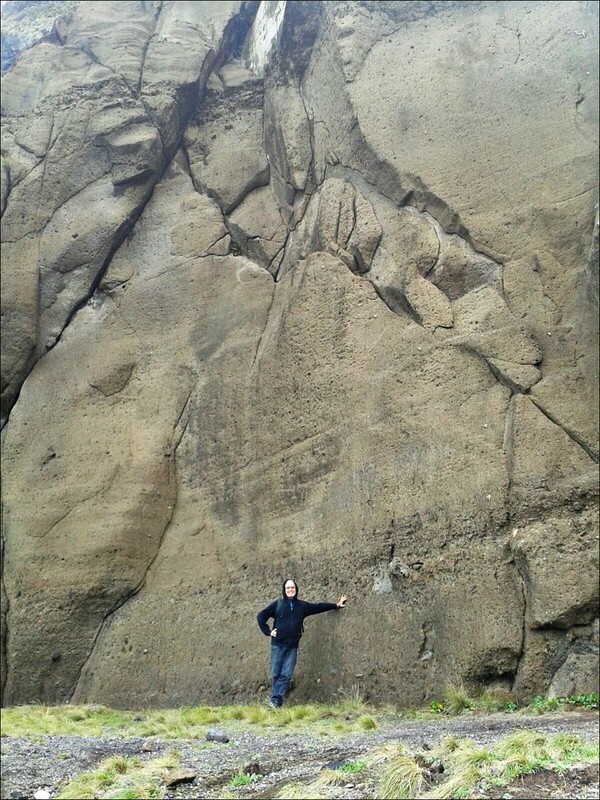 It shows episodes of volcanic deformation that are indicative of magma ascent, which halted beneath the volcanic system. The Picos Fissural Volcanic System is the most recently formed on the island of São Miguel, with an eruptive history of Hawaiian and Strombolian type phases. Since eruptions at the CFVS had stopped almost all basaltic activity has been concentrated at the PFVS, where about 30 eruptions have taken place. About 300 scoria cones mark this monogenetic fissure-controlled, dominantly basaltic zone, much of which post-dates the roughly 5000-year-old Fogo eruption. It cannot be assigned to either volcano and appears related to en-echelon fissures overlying a fracture zone. 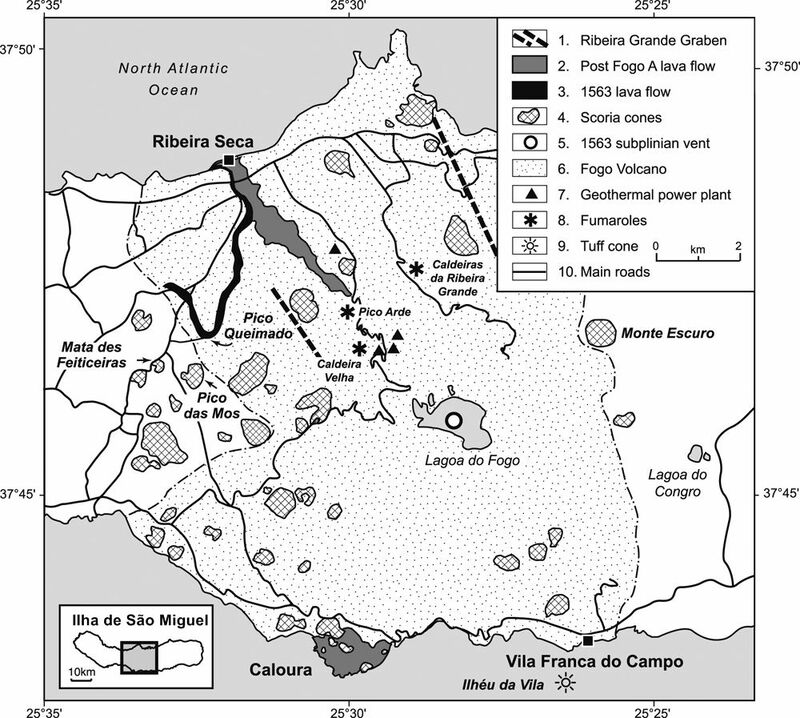 The 1563 eruption at Pico do Sapateiro was of basaltic composition and associated with the PFVS. 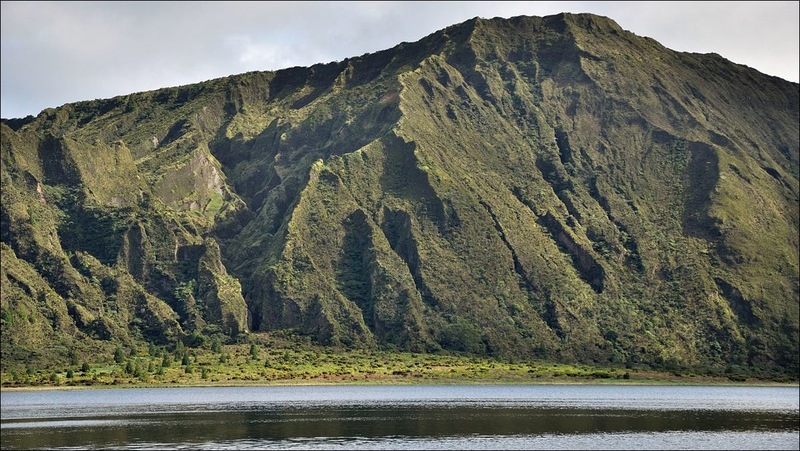 The tectonic processes that formed the Azores Islands – and are still very much at work – are highly interesting; it seems the jury is still out on the question whether the islands were created by a hotspot or by MAR (Mid Atlantic Rift) volcanism. In our next week’s post agimarc is going to give you an overview about what happens at the MAR and the origin of the Azores Islands. ARE the VOLCANOES on SÃO MIGUEL DANGEROUS? 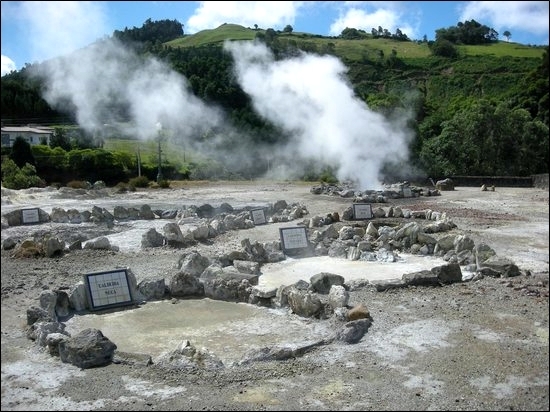 Soil CO2 diffuse degassing constitutes a permanent risk in quiescent volcanic–hydrothermal areas, as is the case in the Azores archipelago. 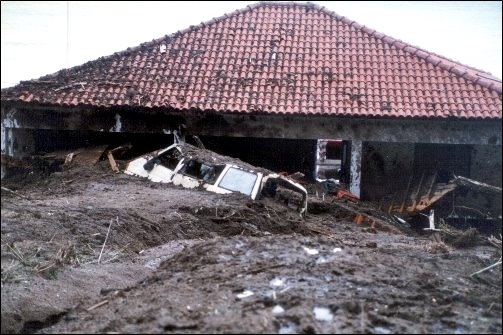 Since the early 1990s geochemical studies carried out in São Miguel Island showed that some villages are placed in anomalous high degassing areas, and indoor measurements performed in various dwellings highlight the risk to the population. These high indoor CO2 concentrations are not only measured in areas classified as high degassing areas, but lethal CO2 concentrations are also registered in buildings located in areas previously defined as low- and medium-risk zones. These lethal values are measured in non-ventilated environments and basements in areas with soil CO2 concentration above 1.5 vol%. Hazardous CO2 concentrations are also commonly measured in buildings located in zones where soil CO2 is higher than 5 vol%. Considering the dangerous values registered and the fact that indoor gas concentration can increase several orders of magnitude owing to peculiar meteorological conditions, updated values are suggested for the correlation between soil gas concentration and CO2 exposure. This study highlights that both the use of soil degassing maps by land-use planners and appropriate construction rules for buildings placed in degassing areas are necessary. Another study details the risks for Fogo volcano, taking into consideration the hazards of hydrothermal activity, earthquakes, gas emissions, landslides and flash floods. Same goes for Furnas. Its fumarolic fields discharge high levels of CO2 and the concentrations in some areas of Furnas village present a risk to health; the steep slopes and poorly consolidated volcanic materials are prone to landslides, in particular when triggered by earthquakes or following heavy rain – as was the case in 1997, when landslides caused severe damage and casualties in Ribeira Quente. Of course, a future eruption of any considerable magnitude would be a major hazard to populated areas but with their modern instruments scientists are able to detect signs long before the magma gets up far enough to reach that stage. You would all be safely evacuated by then… You see, with a lil bit of prudence and precaution, with some knowledge of, and interest in your surrounding landscape, you can safely enjoy living and exploring this lovely volcanic island of São Miguel. 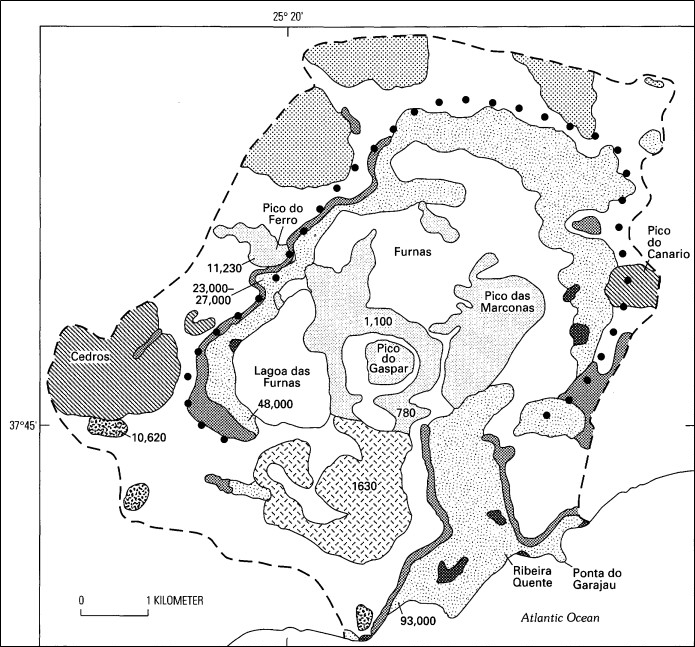 – Magma Evolution of the Sete Cidades Volcano, São Miguel, Az. In Ecuador: since 26/2 Tungurahua eruption had began intensifying and its alert level was raised to orange. Over the weekend spectacular pictures appeared on the internet, and since yesterday IGEPN issue instant warnings about new explosions and pyroclastic flows every few hours. Because of strong ash fall, relocation of livestock has been recommended. An accumulation of ash of 7.7 kg/m2 has been recorded since Febr. 26. I cross my fingers for the people in the communities at the foot of the volcano! Nicaragua: In the Masaya crater are now three crater lakes active and a fourth vent forming in the SE part of the crater floor. Howdy Granyia – Interesting writeup. I am used to most of these oceanic hotspot volcanoes to be effusive in nature with caldera formation via subsidence. Appears this island has an appreciable percentage of ash-rich volcanism. I wonder what makes the difference in the magma source. The abundance of ash deposits makes sense when you remember there were Plinian phreato-magmatic eruptions, submarine and/or through big crater lakes. What makes Plinian eruptions? High content of gases like water in the magma. Is this where the MAR volcanism comes into it? Compare Hawaii – no rift zone, no highly explosive eruptions. 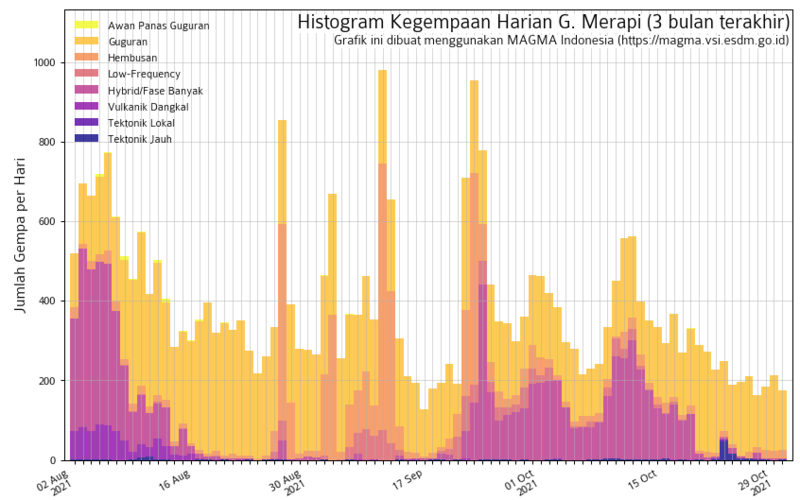 Compare Iceland, hotspot with MAR – lots of ash with Eyja and Grimsvötn. What leaves me more puzzled is the dominant occurrence of trachytes. If I understand right, these were more evolved magmas, meaning they must have remained for long periods in some reservoirs below, re-heated and depleted of mafic minerals before eruption. So where has it been for so long and why? Is that the same process now happening at the Congro fissure zone, Basalt rising but not erupting, staying somewhere below and evolving into Trachyte? Drat ! I booked a flight for the Canary Islands…. Excellent as always. I think I’ll go there definitely one day, seems there are some really unique spots, plus it’s not unreachable from Europe. Seeing the fumarolic fields I wonder why they do not speak much of their geothermal (it’s of respectable size considering the archipelago). I am doing research on the ancient Vulcanism of the islands. There are many questions that I would like to ask but perhaps you can just point me in the right direction for further questions. My current train of inquiry deals with possible locations of collapsed, underwater, lava tubes just east of Sao Miguel. No more than 2 km from the eastern shore line. I’ve used some gravitational and Bythometric charts and have spotted some peculiar formations off the coast (some 200-500m) of Ponte Sossego. Please contact me if you can. Was in the Azores about 30-35yr ago at Lajes AB and recalled seeing a house, which I’m sure was only visible from the air, right in the centre of a dormant (I hope) volcanic crater. Complete with a green yard and all that. We almost couldn’t believe this and in fact circled it several times until we realised we could be becoming a nuisance. Well, it did seem a curious outfit. Who on earth would pitch a home in a place like that? Don’t recall which of the islands it was on and didn’t recognise it anywhere on your post. As we were there on active duty we didn’t exactly have much time for further enquiry. . This leaves the question of this curiosity unanswered. Are you able to research this and/or shed any light on the subject? Perhaps in a future post? My story’s credibility could only benefit.